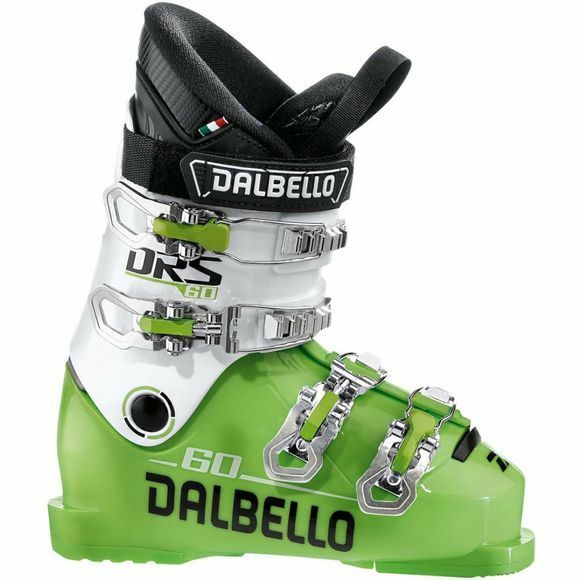 The Kids DRS 60 Ski Boot from Dalbello is the junior version of the popular adult racing series and ideal for on-piste skiing. This soft flex boot has been adapted for young skiers to bend and flex the foot while the lower shell and cuff adjusts the forward lean angle. The overlap construction gives a secure fit whilst reducing weight with less material, while two micro adjustable buckles ensure a custom fit. A wide velcro strap locks into place and the toe / heel sections are ultra durable for longer lasting sole wear.